Hello! We are Andra and Dee and we are friends for more then 10 years. Please follow our blog and travel with us through time. I wrote a post or 2 about korean dramas' impact on the romanian people in the other blog we deleted and now i thought it would be good to make an update. I must say that TVR1 turned out to be a trendsetter with this type of program in Romania.Seeing the success they had, other television programs followed their footsteps and began broadcasting k-dramas to boast their ratings. So, after successfully broadcasting "Queen Seon Deok", "Dae Jang Geum", "Wind of the palace", "Damo", "Dong Yi", "Jumong" and "Hur Jun" TVR1 continued their program "Korean Hour" with "Kim Suro - The Iron King", a drama based on the life of Kim Su-Ro, a man who unified 12 small countries to create the state of Geumgwan Gaya in southeastern Korea during the Three Kingdoms Period in Korea and "Sangdo: Merchant of Joseon" which tells the story of a young and intelligent business man who manages to create his own mercatile network during Joseon period. 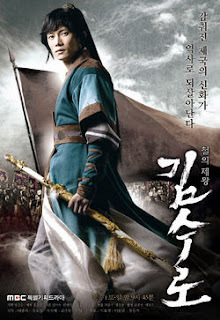 The drama airing now is "Kingdom of the winds" starring Song IlGuk. National TV broadcasted "Emperor of the Sea", then "Chuno" which is about to be over and then it's rumoured that they will air "The king Dae JoYoung". 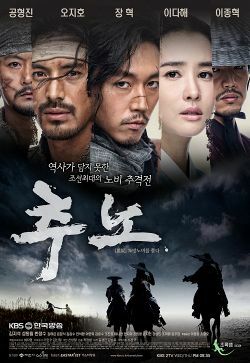 Chuno was a great drama; one of my favorites, I might say. I watched it online though because like i mentioned before, i don't have time and can't keep up with all the dramas they air these days. Is hard especially because there are dramas aired at the same time by rival tv stations. 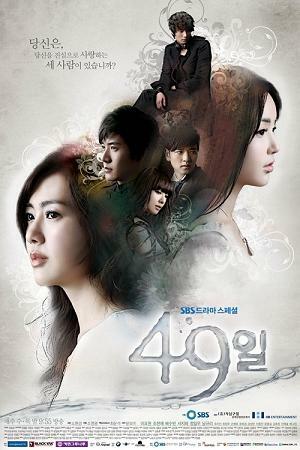 Euforia TV chose to air modern dramas like "New Tales of Gisaeng" or "49 Days". The next aired drama is rumoured to be "Boys before Flowers" which made fans ecstactic. Maybe I will have time to see it on TV. 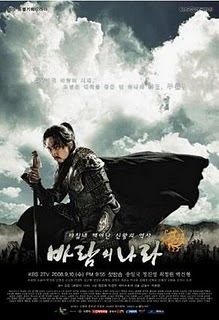 TVR2 aired "Damo" and after that, the chinese drama "Three kingdoms". N24 Plus will start with "Empress Chun Chu". 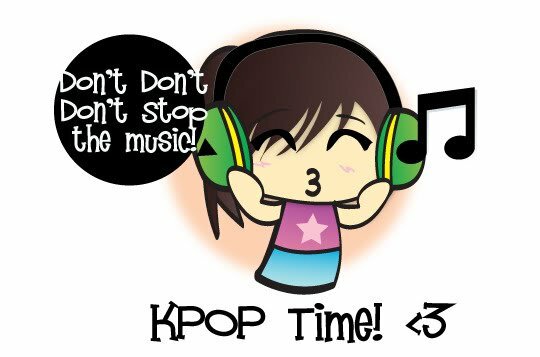 Music Channel Romania has a show named "K-pop pill". The videos aired are the choice of the viewers who vote their favorite through a poll on Music Channel's Facebook Page. Now they also show kpop videos during the normal program of the day. Also local magazines wrote articles about how well the dramas and music are received. The latest suprize came from the teen magazine "Popcorn" which had an article about most well known korean artists and a big picture on the cover of 2ne1. Honestly, at first I didn't forsee such a positive response from the viewers. I mean, I was thinking that it won't be so bad, but it was a lot better than I expected. Everyone talks about it. Fans write about it on their blogs, media writes meaningful articles and the good word keeps on spreading. Of course, there are haters too, but who cares? To us, k-pop/drama fans this was a very good news as we feel that our efforts were finally rewarded a little and I think it won't be so long until we could go to a k-pop concert here in Romania. I certainly hope so. Oh my ... I knew about the dramas being aired on multiple stations, and how they started airing kpop music but I didn't believe that Popcorn would write about Korean artists. That's really awesome. I somehow find television more appealing than it used to be. What I would really like to see on TV is their crazy shows where idols come and compete and do silly things. 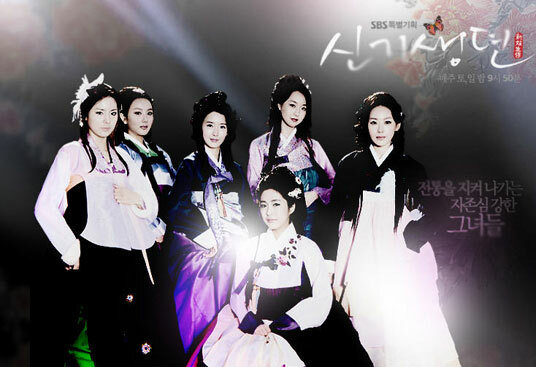 I used to love when we had KBS but since we changed networks my heart has been broken. They have some really good shows. Even my parents love them. aww Dee has KBS as well. i don't have the package even though i have UPC as well :)) my aunt is the one who watches most tv and she is happy with what she has in the basic package. I hope this will still going on next year when I'll come back to Romania!! Haha your aunt is the same as my parents. When we had UPC we had the package with KBS (oh what happy days) but they decided it was too expensive and we downgraded.